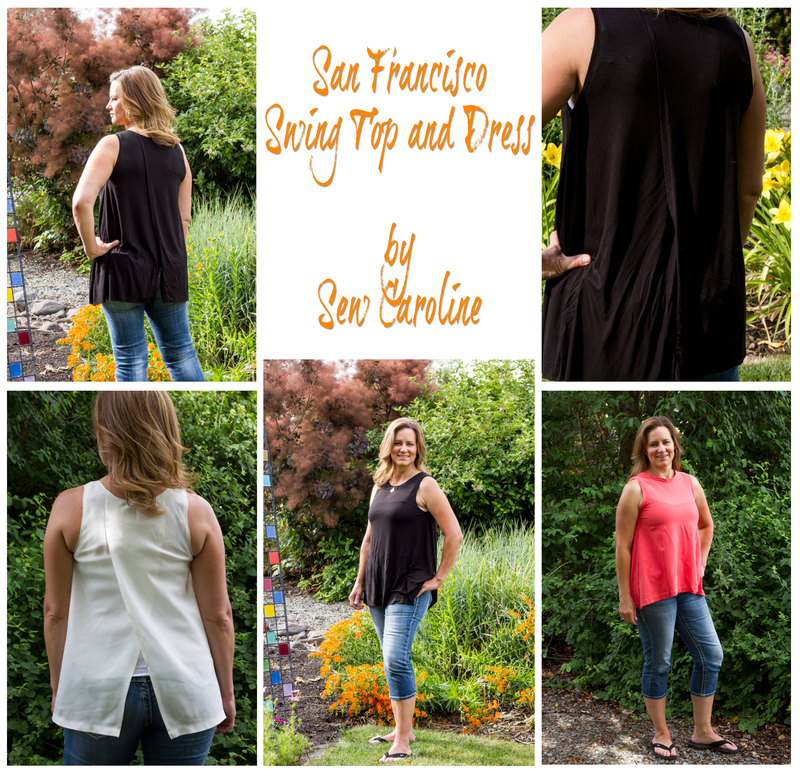 I recently tested the San Francisco Swing Top and Dress for Caroline Hulse at Sew Caroline. I really enjoy working with her patterns; they are straight forward and easy to follow. In the past, I have made a version of the Florence Kimono for myself, and I made the Parkside Shorts & Skirt for my youngest daughter during the pattern testing process. Caroline’s patterns are all very easy to read with straightforward, simple directions. The pattern includes detailed sketches with the instructions, and differentiates between the split back, full back, and dress sewing instructions well. 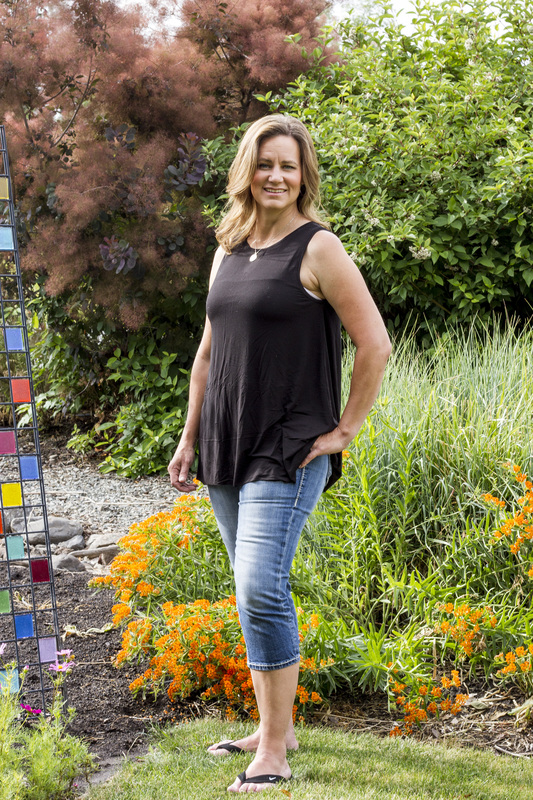 As described on Caroline’s website, “The San Francisco Swing is a comfortably fitting swing top and dress designed with a high neckline and the option to have a full or split back. 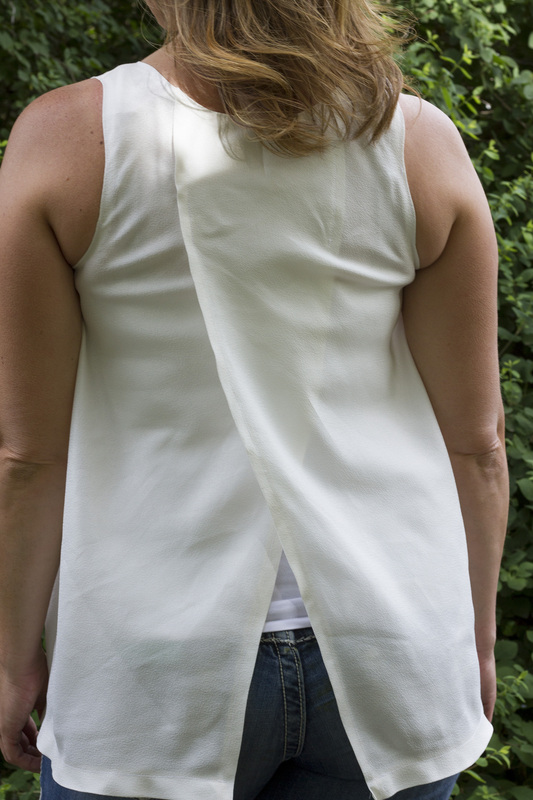 The arm and neck lines are finished with bands, for a simple, yet professional touch. 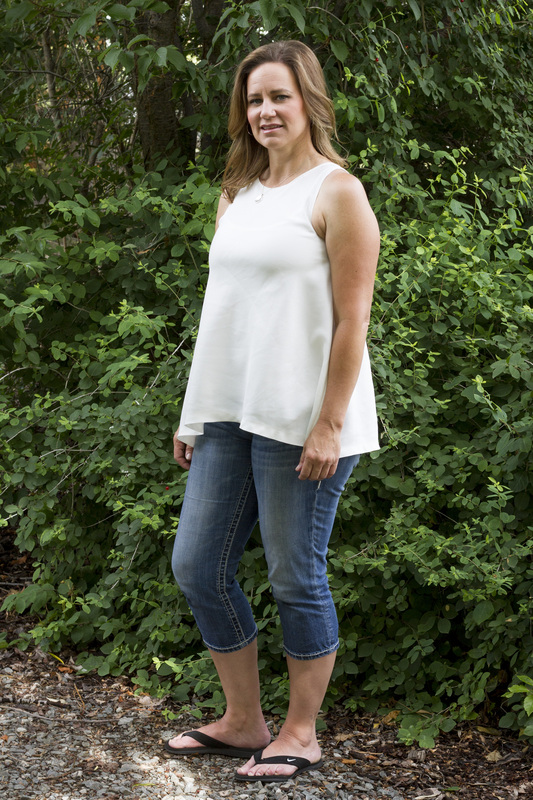 These summer staples will be made and worn over and over again!” I am excited to make myself a couple more, and my mom asked me to make one for her, as well! It is meant to be made with a light to medium weight knit such as jersey, rayon, polyester, or other light weight blends. You want your fabric to be drapey/bouncy/flowy, with at least 40% stretch. I did make this version with a white woven that I had in my stash, and I think it worked well, with the exception of the pulling at the back of the arms. I believe making one size larger would have eliminated that issue. I also made this version out of a cotton-lycra knit blend, and it worked out okay; however, the fabric is too heavy for this pattern. The top fits well and is very comfortable, it just doesn’t look nearly as nice as the black one made from the correct fabric. The San Francisco Swing Top and Dress is really easy to put together, and it is so versatile it should be a staple in every summer wardrobe! 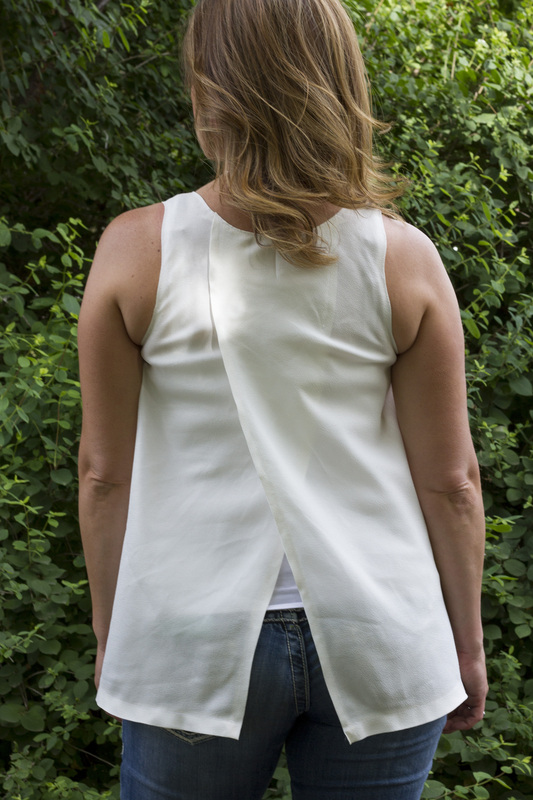 If you would like to see additional tester photos, head on over to the Sew Caroline Blog where she will be highlighting the pattern and showing more tester images. 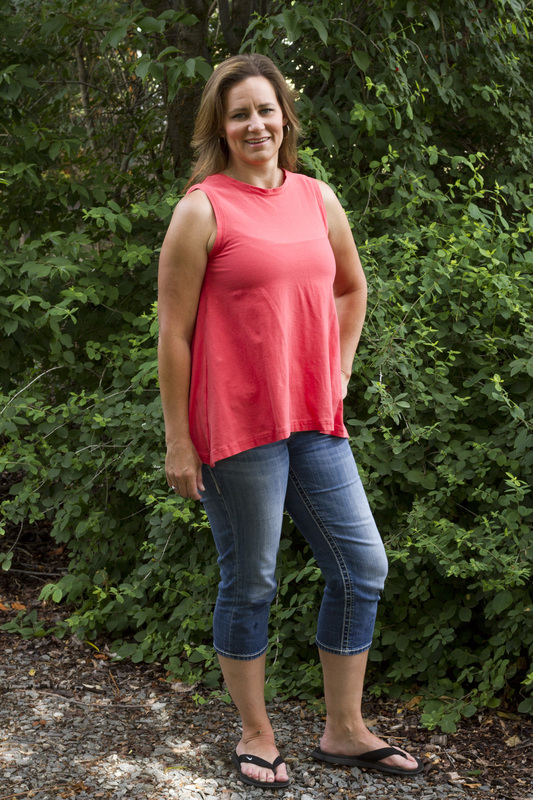 The San Francisco Swing Top and Dress pattern is available now at Sew Caroline, and it is is on sale for $3.00 off through Friday, July 22nd. 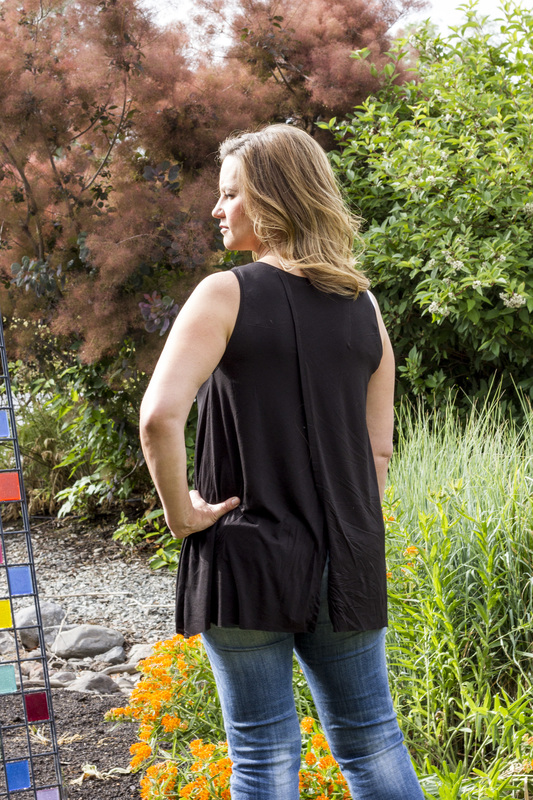 Head over there and grab a fabulous pattern that is sure to become a wardrobe staple! This is the second finish from my Finish-A-Long Quarter 3 Project List. Love this pattern, the fabric is gorgeous, thanks for sharing. These are lovely and they look great on you too. Thank you for participating in the FAL, on behalf of the 2016 global FAL hosts.